No matter how much we hate fads, pre-wedding photo albums look absolutely mindblowing. Sure a lot of dressing up and weird posing in public places goes into it but with captivating backdrops – courtesy the vibrant pre-wedding photoshoot locations in Bangalore – the final results are totally worth framing. The options for such venues for couple photoshoot are plenty in Bangalore. To make the right pick, just sit down together with your better half to see what kind of backgrounds work for you. 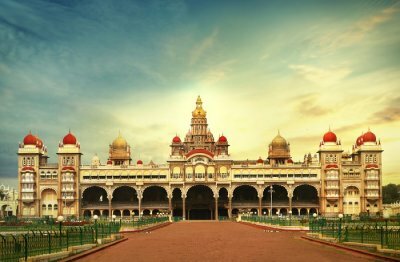 Here are the top 15 pre-wedding photoshoot locations in Bangalore that you must consider, given the fact that well-known prewedding photographers are already doing wonders with their clicks here! For a utopian pre-wedding photoshoot places in Bangalore, Lalbagh is a dream venue! Vibrant flowers, expansive greenery with a tinge of ruggedness, and a lake are perfect backdrops for that dreamy prewedding album. Head here during the early morning, you’ll have easy weather and lesser crowd for the shoot. 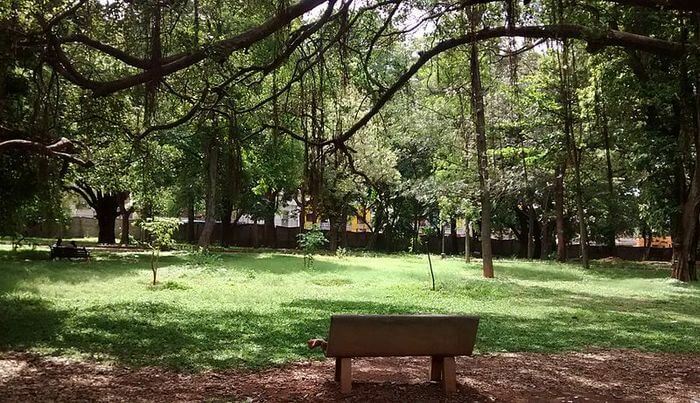 Surely, this would be a great choice if you’re looking for magnificent outdoor photoshoot locations in Bangalore. 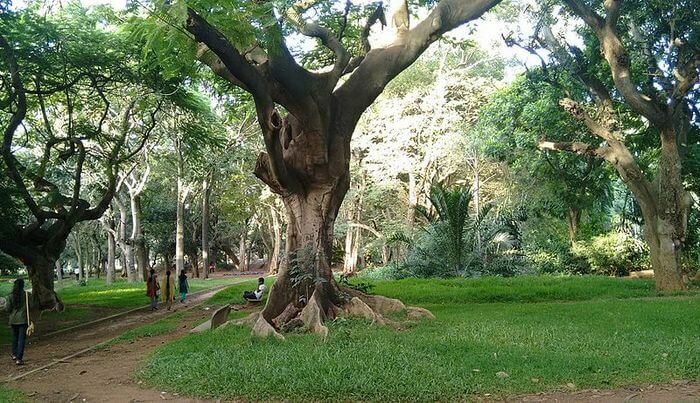 Located near Lalbagh, Cubbon Park also is among the superhit pre-wedding photoshoot locations in Bangalore. This is meant for the couples wanting a background with affluent greenery. The gardens are well-maintained, and there are sculptures to add a little fun to the snap. Go for an early morning pre-wedding shoot for lesser crowd and pleasing weather. Evenings are great too if you wish to experiment with lighting. 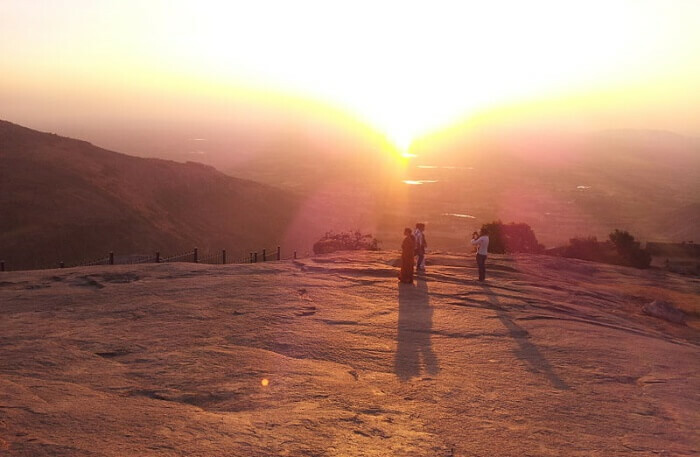 You cannot go wrong with Nandi Hills as your pick among the popular pre-wedding photoshoot places in Bangalore. The variety of backgrounds you have here is incomparable. Lush greenery, Nandi Hills Caves, enchanting Tipu’s Fort, and ancient temples like the Bhoga Nandeeshwara Temple add a South Indian touch to the clicks. Opt for an early morning shoot to avoid crowd. Looking for to some street photography locations in Bangalore? A road corridor fringed with abundance of greenery, this is one of the most romantic places for photoshoot in Bangalore during early morning. You have a tranquil ambiance that’ll imbibe in your frame. 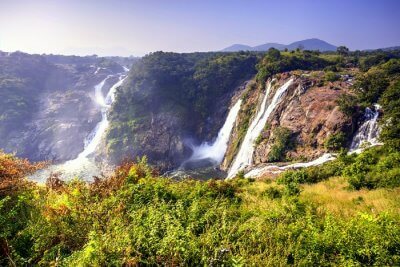 Alongside expansive greenery, you have Talaghattapura Lake, gardens and Turahalli Forest to get clicked around. 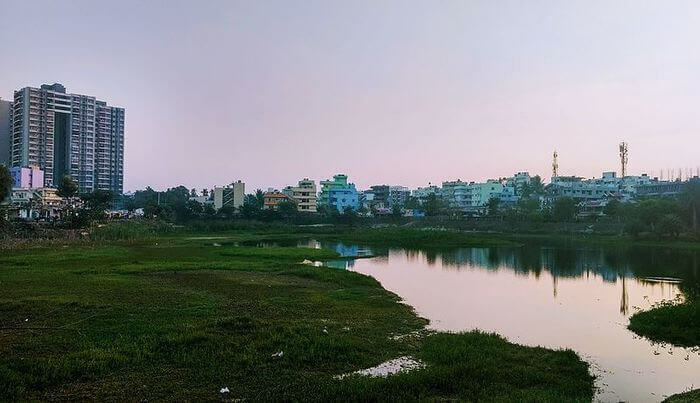 Stealing the show with a lake surrounded by verdant greenery, JP Nagar Outskirts is a serene locale for your special photographs to come to life. 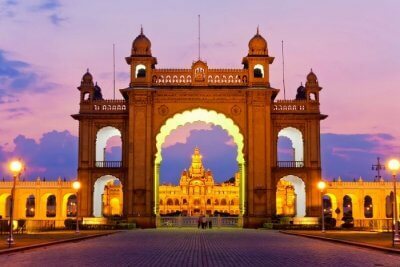 Since this is among less-visited places in bangalore for photoshoot, you can enjoy complete privacy, especially for early morning shoots. This is one of the top photoshoot places in Bangalore. An expansive farmhouse for relaxed shoots, Satori flaunts manicured gardens and a sprawling space closer to nature. This huge area also gives you the opportunity to go creative and play with the background. Since this is a farmhouse, anytime would be a good time for photoshoot here. Mornings, as well as evening, are good for a play with lighting. 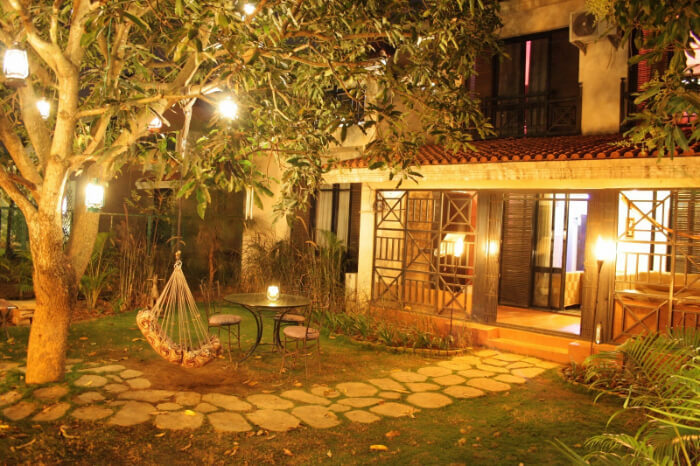 The German vibe swirls in the air in Sommer House, which is among the best places for pre-wedding shoot in Bangalore. With its history dating back to 1950, this cottage also has its own collection of vintage cars. You can get the shoot done anytime of the day; the weather is pleasing throughout. If your have a fairytale location on your mind, you must consider Elements Resort for pre-wedding shoot. Decor that you love, a location away from the hustle and bustle of the city, opulent halls, and brimming luxury; that’s Elements Resort for you! If you fancy one of the immaculate places for pre-wedding shoot in Bangalore, this is your steal. Plus, you can shoot anytime during the day, and photographs will come out beautifully. One of the chicest and best wedding photoshoot locations in Bangalore, Bricklane Grill is a plush white-themed hotel restaurant. It features a swimming pool where you can find many frames for your picture. Time is no constraint here, come anytime of the day for lovely couple pictures. 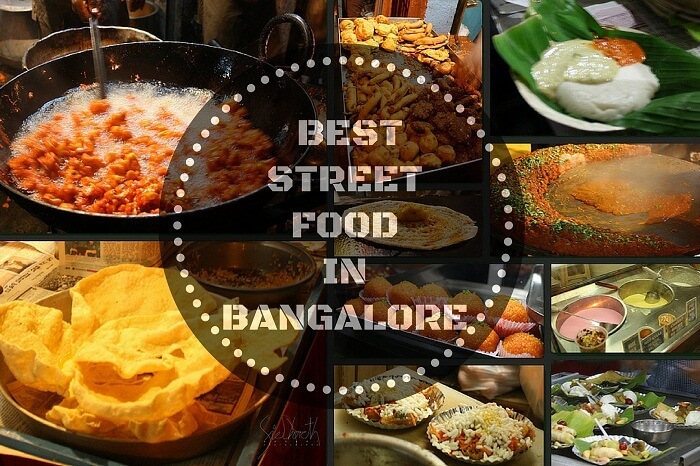 Suggested Read: 25 Romantic Restaurants In Bangalore 2019: Pick Your Favorite From This A to Z List! One of the luxurious Bangalore photoshoot places is ITC Windsor Manor. The stunning white neo-classical structure dating back to the 19th century adds a lot of vintage charm to your frames. The property looks prepossessing throughout the day, so you can shoot anytime you want. The Courtyard House is a popular venue for wedding and pre-wedding shoots. 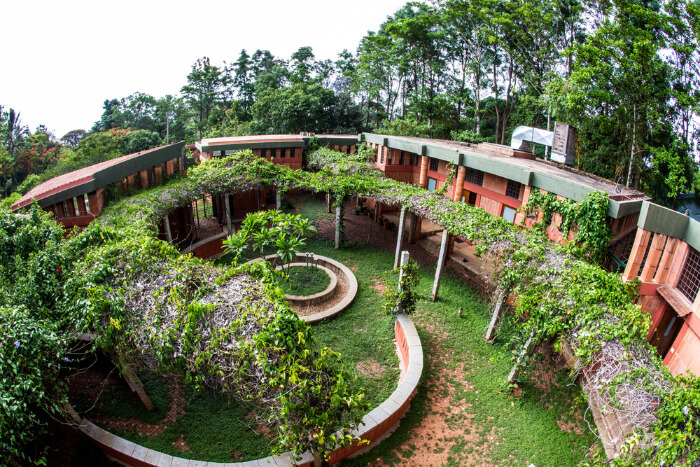 The location has high-roofed rooms arranged in a circular manner that form a wide central courtyard. The cortyard is open-air and comes across as an ideal spot for pictures with classic backdrop formed by the buidings and great natural light. The exteriors of the rooms are done in earthy colours giving a calm and fresh look to the pictures. 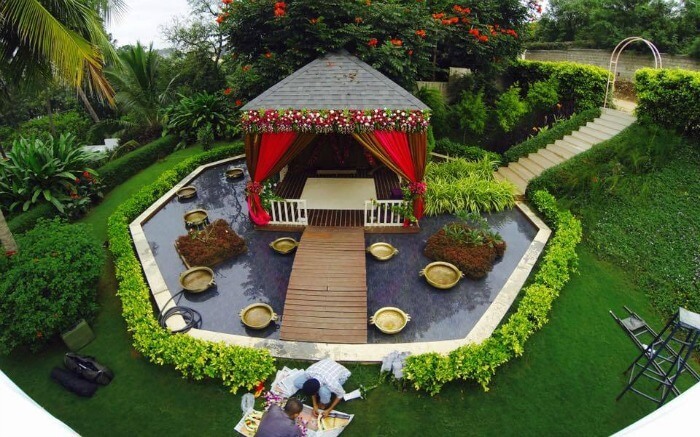 The green lawns and the pond add more element to the whole setting. 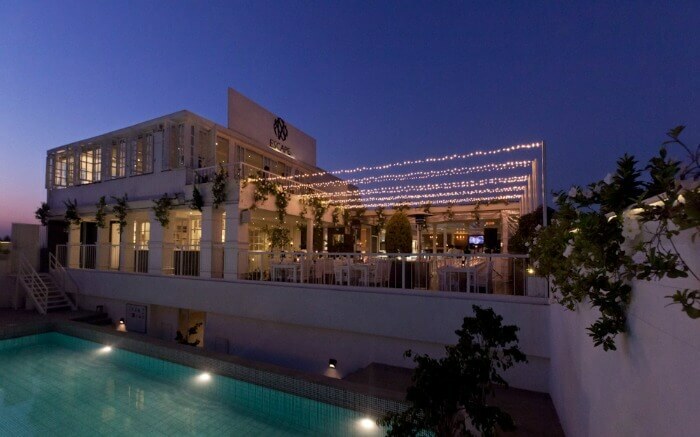 Jade 735 is a fabulous party venue and retreat in Bangalore. The place has many beautifully designed accommodations with lawn and pool that can be a stylish and romantic backdrop to your pictures. If your are looking for a sophesticated setting for your pre-wedding shoot then Jade 735 will surely impress you. You can combine your shoot with a cocktail night to make the best of the time your spend at this venue. 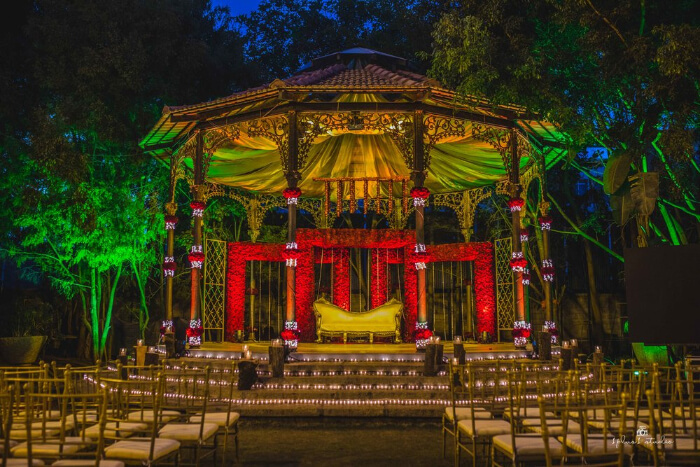 A night photoshoot will add more essence to your pictures as the lighting of the venue is simply gorgeous. 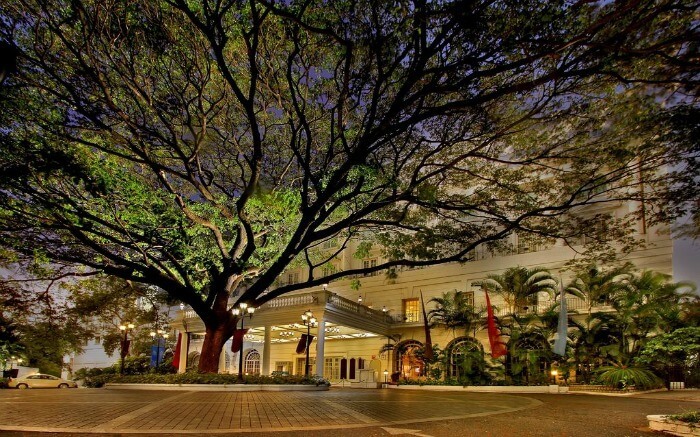 Tamarind Tree is a venue that brings together the old and the new. The open-amphitheatre brings draws all the positive attention to its centre, making it a beautiful spot for pre-wedding shoots. The place has a traditional and elegant vibe, with antique doorways, courtyards, cobble-stoned pathways, pavilions. 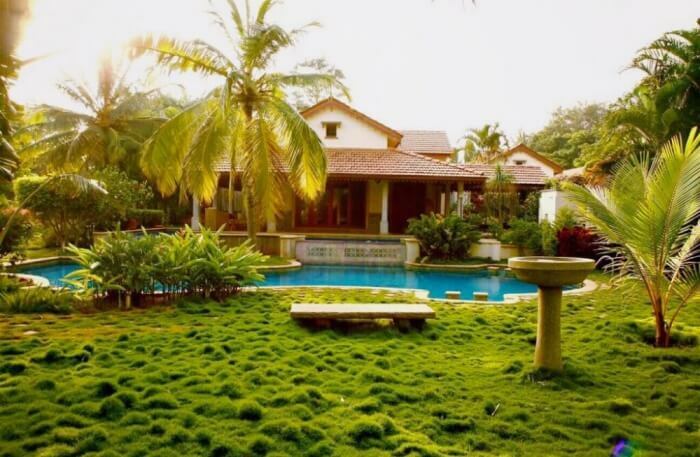 The venue is spread across 5 acre garden with charming trees including the tamarind tree. There’s a pond too, that adds an interesting earthy touch to the whole settup. Marriages are like wine, they get better with time! 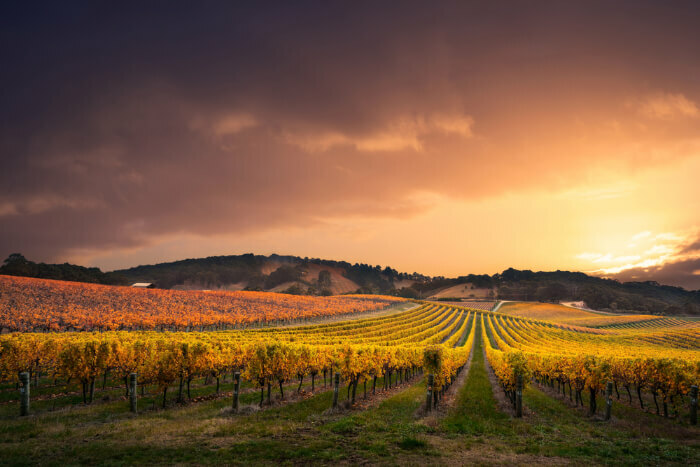 So why not kickstart your journey by going for a pre-wedding photography in a gorgeous vineyard? The Gorver Vineyard in the foot of Nandi Hills can be a perfect location for your photoshoot. The green vegetation and the hills in the backdrop with sunlight smudging in, can surely add a lot of earthty element to the frame. And if your are a couple who love wine, you can go ahead and sip some of the best one from the in-house winery located here. Conducting your pre-weddinng photoshoots in the Innovative Film City in Bangalore’s will open up an infinite options to you. 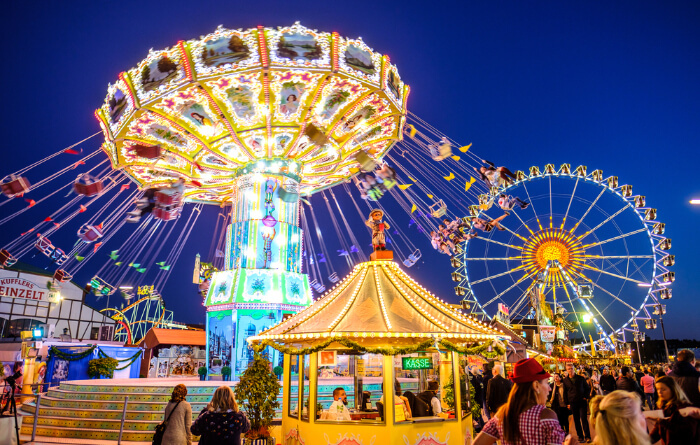 This is a movie studio and amusement park with a variety of sets and locations including the set of Kannada TV reality show Big Boss. You have a plenty of backdrops with beautifully designed streets, buildings, beach area, and more. The place is so attractive that you would surely want to take a tour after the shoot. So, if you are a curious couple, this is a perfect place for your best pre-wedding snapshots. Are the wedding bells ringing soon for you? 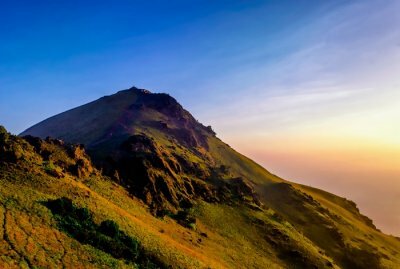 Plan your quick vacation to Bangalore before getting hitched and capture your romantic moments in a picture at these exotic pre-wedding shoot locations. It is suggested that before you go out for the final shoot, make sure you’ve called up the authorities for permission. Some pre-wedding photoshoot locations in Bangalore only allow guest to click in the premises. Q. What is the average cost of pre-wedding photoshoot in Bangalore? A. The cost of pre-wedding shoot differs from photographer to photographer. 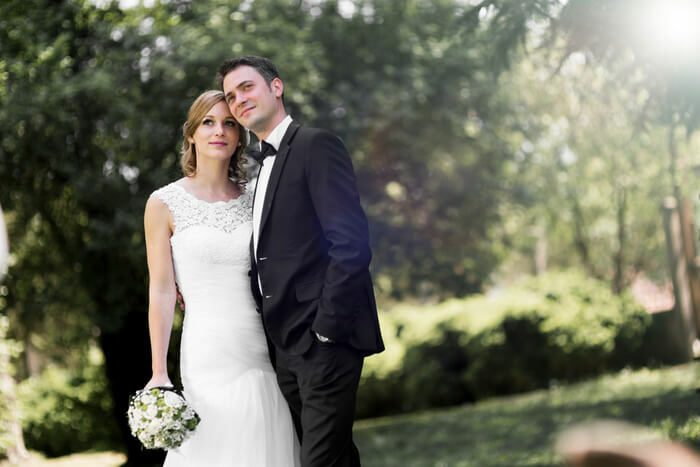 Many photographers offer packages that also cover photography of different wedding functions as well. However, if you’re looking for paying just for the pre-wedding shoot, expect to pay around INR 25,000 per day. Q. Suggest some resorts for pre wedding shoot in Bangalore? A. Usually, the resorts in Bangalore require room/event booking, to allow photoshoot permissions in their premises. Some of the most beautiful resorts to go for pre-wedding shoot are ITC Windsor Manor, Elements Resort, and Guhantara Resort. Q. 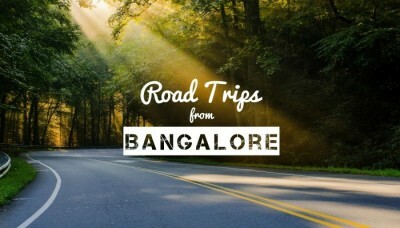 What are the best places for a couple photoshoot around Bangalore? A. Hebbal Lake, Nandi Hills, and Thottikallu Falls are among the best places around Bangalore for couples to get their pre-wedding shoot done.